During the two-hour workshop the students will learn how to use layer masks, adjustment layers in combination with selection as well as spotting and healing tools. Participants are required to bring their 3-5 of their own RAW files. A brief lecture and discussion will be followed by a hands on workshop. Beginners: Please bring 3-5 digital self-portraits that highlight your personality. These files should be in RAW format. This introductory workshop to sewing on portable sewing machines includes instruction on basic machine operation and troubleshooting, stitch adjustment and fabric alignment. Hand-stitching for basting and finishing, and installing zippers will also be covered, as well as basic pattern drafting, fabric layout, cutting and pinning for construction. Please bring scissors, colored pencils, and a ruler to work with. A skill that is relatively rare in art and illustration is the mastery of depth of field. This workshop will offer a brief but pointed array of diverse examples of art that explores complex perspective and levels of focus and lucidity, then students can make their own image(s) that simulate deep space. Please bring a medium-sized sketchbook or paper, and pencil. Feel free to additionally bring preferred drawing materials such as ink, watercolor, or even a laptop! The Making Center Digital Photography Workshop introduces students to the Parsons Making Center Equipment Resource Center, to the various tools available to students in different Parsons schools and programs, followed by an in-depth look at the functions of a digital camera and how to set up, capture, and process pictures for the web or for print. Digital cameras will be provided, or bring your own camera to work with. This workshop will expose students to two basic ways to bind paper into a book/sketchbook. Over the two hours we will cover Japanese binding and Coptic binding to create two sketchbooks from start to finish. 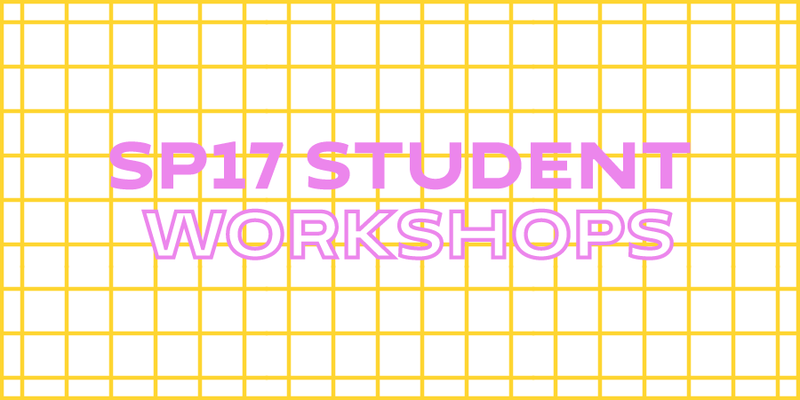 Please bring an exacto knife, scissors, pencil/pen, and ruler to the workshop.